Furniture assembly service helps you to put together pieces and parts of the whole furniture. This service is usually needed after you have moved to a new place and the movers shift your furniture over or when you bought a new set of furniture which does not come with assembling service. In Singapore, most suppliers or sellers of furniture should provide furniture assembly service with a fee. Some of them even provide free furniture assembly service. However, there are other suppliers or sellers who imposed high assembling fee. If this is the case, you may be better off fixing it yourself or getting a handyman or household repairman to assemble your furniture for you. Some of you may think that you can put the parts and pieces of furniture together with ease. However, when the furniture is delivered and when you start assembling it, you discover that it is not so simple after all. Sometimes you may even assemble wrongly and the furniture turns out to be different from what you have purchased and is unusable. 1. Before you start any furniture assembling, check what is the weight of each piece and each part of the furniture. Ask whether the weight is too much for you to handle (i.e. is it too heavy for you to lift and move the parts and pieces of furniture around). 2. If you are buying common furniture (e.g. furniture from IKEA), there may be youtube video guide which you can watch before you decide if you should assemble it yourself. The video may even highlight the common errors which you must take note (e.g. some pieces of furniture which people commonly placed or fixed incorrectly). 3. Try and get another person to help when you are assembling the furniture. Most of the time, the bigger the furniture is, the heavier it is. As such, when you are joining 2 heavy pieces together, you may need someone to hold on to the other piece. If you have no one to help, find stools and stands of different heights so that you can place one piece or part on the stool or stand while you assemble the other part. 4. Prepare all the necessary tools like screw driver, spanner, etc. and place them where they can be reached easily. 5. Take breaks in between if there are many furniture pieces to assemble. Judgement may be compromise when you are tired. 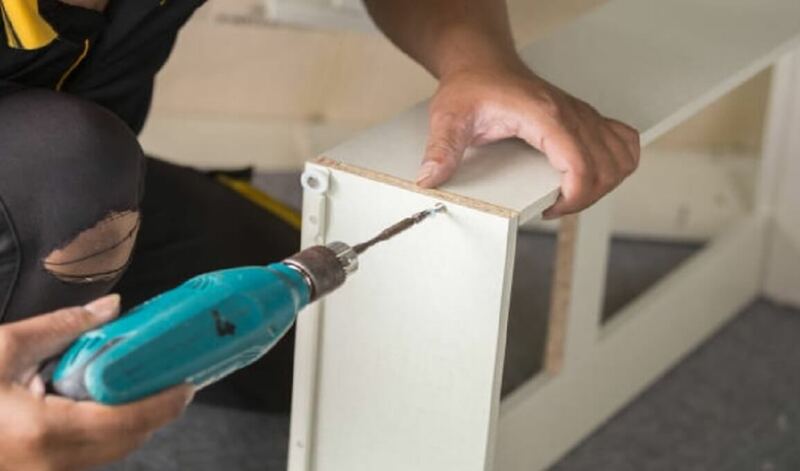 If furniture assembling is too much of a hassle or too challenging for you, you have the option to call for our furniture assembly service team to put pieces of your furniture together. Give us a call at +65 8163 2621 or send us an email to get a reasonable fee quote. You can be assured that our furniture assembly service will leave you relax and happy. painting service by our efficient painters.